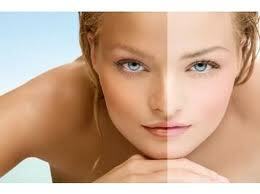 Beauty By Hayley Offers Mobile Beauty , Holistic and Spray Tanning And Spray Tan Parties. Why Not Treat Yourself To A Beauty or Holistic Treatment At Affordable Prices In The Comfort Of Your Own Home. I offer a range of treatments to suit your needs, where its from hair removal to improving skin condition or helping to ease the symptoms of a condition, i work closely with you to ensure your needs are meet. Or why not treat yourself to spray tan party or a beauty pamper party, and invite your friends round for a fabulous night in. Are Carefully blended in the UK and lovingly made with natural emollients, antioxidants and Aloe vera to moisturise and protect your skin. Easy streak free, non-sticky application with natural and even fade properties. Alcohol Free. Paraben Free. Not tested on Animals. OMG offer offers the closest colour to a radiant, natural tan available on the market today. The perfect solution for a beautiful, silky smooth, sun-kissed tan. I cover Droitwich Area and a 5 mile radius, i am able to cover a wider area, though a petrol charge will occur depending on travel distance and time, THE PETROL CHARGE WILL VARY.